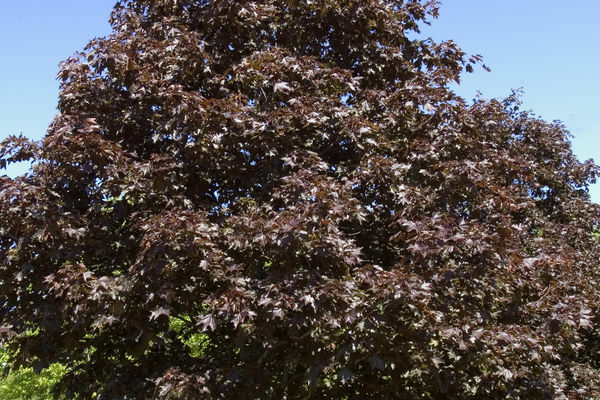 This Norway maple selection is similar to 'Crimson King', but with a somewhat slower growth rate and what some consider slightly better color. A dense shade tree, it has a straight trunk with a well-shaped canopy. 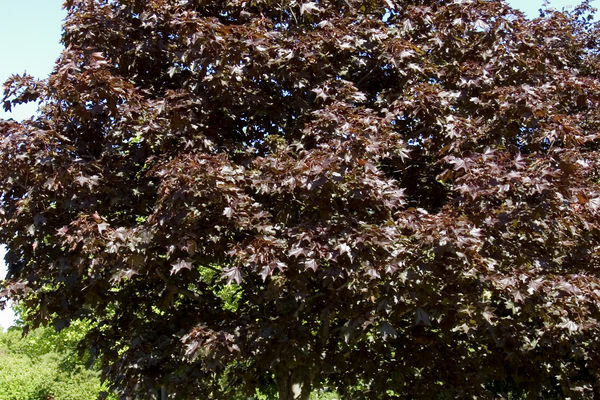 The glossy foliage is an excellent maroon red all season.